This gorgeous 100% linen bedspread is truly adaptable when styled either classic or modern. Embellished with pin tucks, hand embroidered pale bone running stitch and finished with hand quilting. 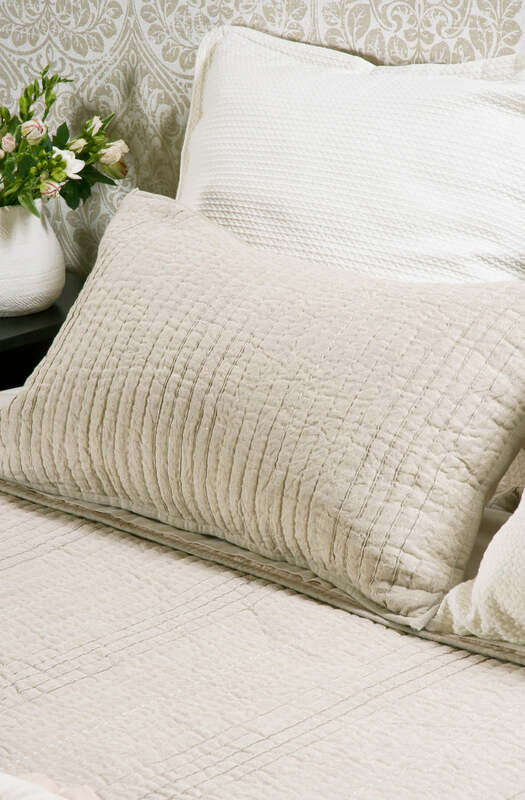 Available in natural linen, ivory, charcoal or ice with matching pillowshams and euroshams. 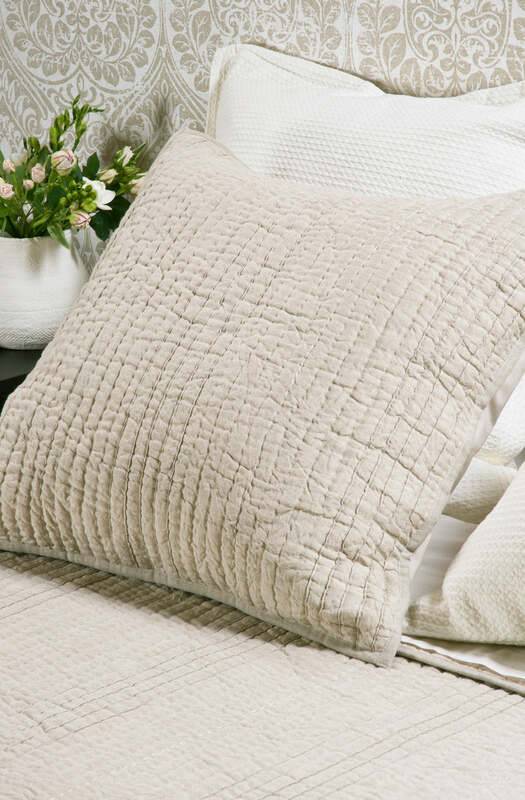 Please send me a sample of the following swatch for percorsi natural linen bedspread.